Gamesir Controller - Work or not work? So I purchased the Gamesir T1 and apparently there is also a Gamesir T1s. I still don't know what the heck the difference is but the T1 is $10 cheaper than the T1s. I placed an order for the T1s but only because from my understanding the T1s is the one that is compatible with the Tello Drone. Now take that with a grain of salt because even with the T1, I couldn't get it to work on an Android device, although my Android device did connect to the controller. Furthermore, I'm hearing now that even the T1s may not also work although on the back of the Tello drone box/packaging depicts a picture of the Gamesir T1/s???? Reading some reviews, this maybe all a wash but I'm curious whether anyone has gotten ANY controller to work?? There is a youtube video about the T1/s connected to a Tello drone but it's all in chinese so I couldn't really understand what they were talking about other than what I'm seeing it working. I saw a post on another forum from a DJI rep that said the Gamesir remotes are not yet fully supported, but the GameVice works fine with Apple devices. Unfortunately, Gamevice can cost as much as the freaking drone. If you have multiple devices Android/IOS, you have to buy like multiple gamevices. ARGGGHHH!!! So they plan to make a FW update to make the T-1 work? I've had the Tello a few days and am supposed to get the gamesir T1s in a couple of days. I was hoping my S7 Edge would work with it. Hate to throw 35 bucks away. I just hate using the virtual sticks on the phone! I tried a gamesir G4s with a iPhone. Could not get it to work with the Tello app. Has any one tried a MFI game pad besides game vice? That's what a DJI rep claimed on another forum. I have not tried an Android. I had the G4s already. The T1s on Amazon says no iOS support. I’m not sure if any gamesir controller is going to work with iPhone. Well I hope. OK to have a backup but the G3 should arrive this morning. Well (Edit: with the G3), I must be doing something wrong. Says to confirm controller in the app but nothing is there. Galaxy s7 edge. any clues. It connected to the phone ok but doesn't show up on the app. Same issue with iPhone. Doesn’t show in Tello app. The T1s on Amazon says no iOS support. I’m not sure if any gamesir controller is going to work with iPhone. I just received the T1s yesterday, and it works with both my iPhone 7+ and Google Pixel XL. BUT neither works with the Tello app (yet). So the controller works with the phone, just not the Tello app. Hoping they update the app to support properly. I was actually hoping it was my poor computer skills. YES lets hope for a FW update. I couldn't get the G3 to work on my S8+ so I sent it back. 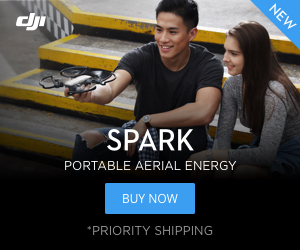 I ordered the iPad Mini one DJI is selling - $99 it better work! The T-1 that I'm looking to return definitely doesn't work with IOS. Although that is supposed to support it. The T1s that I just ordered (should have cancelled) is probably a waste at this point. Perhaps maybe hold onto it till we figure out what the heck is going on. The Gamesir iPad Mini one works great. sorry which one is this one specifically?